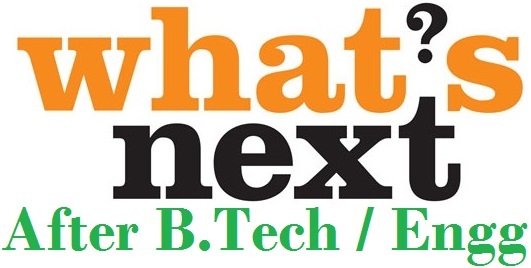 Career Options After BTech / Engineering and Which is the better way to go After Engineering…..
Finding the Best Career After Btech / Engineering long year’s studies and practical’s is very challenging. One is always torn to different paths and try to weigh which will yield the most in life. The world of employment is quite full while as more students and new trainees stream in every day. However creating your own channel and believing in yourself is the key point in life. In the Indian country most student work and study hard to make the future bright for them. They believe in achieving the best careers and making a good living. In the engineering sector the students are well equipped with either: Civil Engineering, Electronic Engineering and Mechanical Engineering. Engineering is a wide topic and has a lot of careers attached to the program. Some may opt to work with the government, open their own firm and also create website or startup. In many casees engineering is classified on the construction, building and a lot of calculation. Take a look and see big companies like Microsoft. They need brainy individuals who can work on their websites and help grow the company. Career Options after BTech / Engineering? Pursue Higher Studies: Some graduates may want to study more, and advance their knowledge. Take up a M. Tech which follows up After BTech, you can take part time classes and take internship in a company. This helps grow both in experience and knowledge. You gain more confidence when you are in the real field. In M. Tech choose one field and specialize in it fully, you will best position in an organization. Teaching Job in Institutions: Wondering why take an engineering course then turn up to be a teacher? This a career path which helps exercise what you have learnt over the period of four years. You can look for an engineering school be a tutor and help many others. It is well know when you repeat the same thing over it sticks more. Teaching on particular field dairy helps you learn more. You become an expert let say on electric engineering and many institutions will need your services. In real life the well-known university lecturers started somewhere gained experience and grasped the knowledge of the course they teach daily. After few years they can take different class which are scheduled at various universities in the country. They are well established and can opt to open their own engineering schools. Go for the Research Fields: Let say it amazing how the engineering field fit in all careers. Taking a good example hospitals, you tend to think of doctors the nurses and all medical practitioners. However in such institution the engineer is the most significant person. They need you for their machines, websites and more so the computers. In the research field engineering will helping get the websites and materials to get the data needed. In most cases the computer engineering can best work in this field. Entrepreneur: Getting the thought of where to start? It challenging for a fresh graduate but with the right knowledge create something new. Sit at your computer and start an engineering firm. If you venture in construction let people know your services. Take contracts and offer the best prices. Go for Private Sector: In Indian country the private sector embrace the new graduates by giving internship and work. They help you gain experience and some time, most of the time offer employment. Companies like the TCS, BHEL, Accenture, DRDO, Bajaj and ONGC. This are just a few but to mention. The companies help you work in all the fields and within no time you are fully equipped with the practical part of it. Above are the basic and general careers for all the engineering sectors. Nevertheless we need to discuss on particular fields and how one can maneuver on its careers. Call it the oldest career path taken by many and still needs more to come in. This field doesn’t exhaust options it is vast and very advisable to pick on the course. Most of the developments seen in the country and not just Indian but the whole world. They are undertaken by a civil engineer: Construction sites, Roads, Bridges, Dams, Institutions, Rail construction and Airports . Rely on the civil engineering, to be complete. No wonder the field is never full of engineers, we need new brains and technology to formulate what is there and the new in future. You have a variety to choose from go for the design, construction and also teaching. Construction and Real Estate Building: This the vast growing industry in the country. Most citizens are building and need engineers to take the work. The government is also building estates for people to buy ready-made home. Why not look for a chance in the estate building talk to people in the industry and learn from them. It a bit of hassle getting a way through but you can post you services online. Take contracts from land developers or building owners. Be clear on what you know most in construction and designing. Many want to leave in well design homes and offices look for the new sites from the internet. With time you will be well established. Take the GATE Exams: Advancing in the M. Tech will be the best option, take a class and apply for jobs in the field you want to specialize. Helps gain more knowledge. With this you can go for the public sector jobs. The government is very keen in taking fresh graduates especially with the GATE exams. You can serve at the government projects like road construction, bridges and airport. This gives you the best establishment in their career. Teaching: Why not try civil engineering institutions, pass the knowledge you gained. Works with different schedules and for different school/colleges. With this you can open a company/school on the same. It is popularly known as the mother branch of engineering, all the engineering aspect were derived from mechanical engineering. This field is vast and can accommodate any qualified graduate by offering the following careers: Designing, Testing, Manufacturing, Installing the systems and Use of big machines. Research Companies: Engineering is the backbone of all careers and a research company will need you more. You can help in the test and generation of something new. Oil and gas companies need mechanical engineers for their products. First look for internships in this big companies and let you can apply for a job. Aeronautical Companies / Airports: This are companies which can’t do without a mechanical engineer. The flight sector need to have someone check their plains for any technicalities. You can also take internships and later get a job in the same company. Teaching: You can work in colleges which offer the course and pass the knowledge to new students. Government Jobs: The Government has offers at different points and need the mechanical engineers. Work as intern and also apply for vacancies in the government sector. Give advice to the government on how to undertake different projects. This field deals with electronics, electromagnetism, and electricity matters. The field is wide and is felt in all careers. Hospitals, schools and other companies need an electric engineer to fix up their electric issues. Fields which need electric engineering? Oil and gas, Constructions, Electronics, Power generation stations, Automotive and Defense. You can work for the above industries fix up and guide on issues of electricity. The country can’t operate with you. Government and Private Sector: You can be the head adviser on the electric field in both sectors. Look for internship to gain experience. Open your Own Company: It always nice to try new startups you can post the company online. Give the clients the type of services offered and the best prices to suit them and make a profit. Take contracts and government tenders. Within a short time you will fully established.